Tucked among trees on Old Mission Peninsula, Mission Table is known for its farm-to-table fare. This winter, the Traverse City restaurant is catering to locals by offering dinner every Friday and Saturday evening and brunch on Sundays. A new three-course dinner menu is offered every week for $35—two options available for each course. Spiced lamb skewers, sweet potato leek soup, almond-crusted trout and seared ricotta gnocchi are just a few of the dishes that have made an appearance so far. Find the current menu here. Seatings are offered from 5–8 p.m. both nights and reservations are required. Call 231.223.4222. 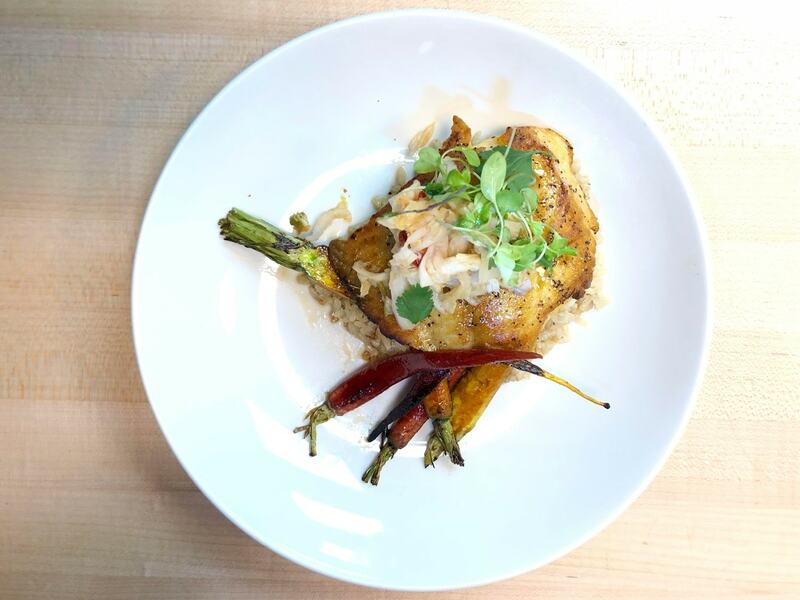 “Our talented culinary team is taking turns creating a new menu every week featuring different cultures, cooking methods and ingredients to make for a memorable dining experience in one of Traverse City’s favorite venues,” says Chef Paul Olson. Chef Olson is inspired by the changing seasons and his dishes showcase locally sourced ingredients. He shares recipes to try at home. Also new this winter, Sunday brunch is being served from 10:30 a.m. to 2 p.m. 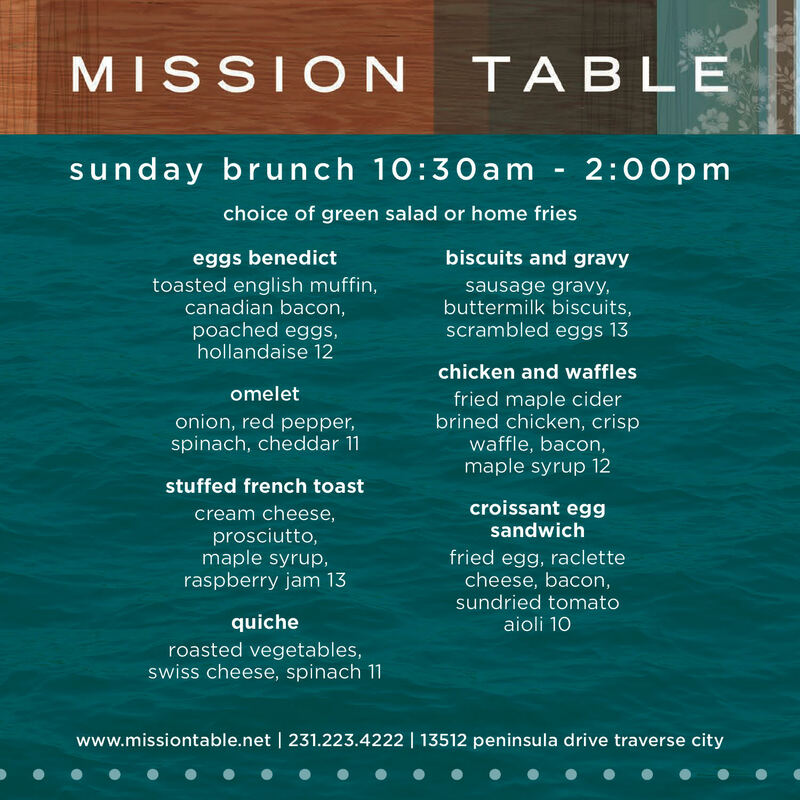 Treat yourself to classics like eggs benedict, stuffed French toast, biscuits and gravy and quiche. View the full menu below.